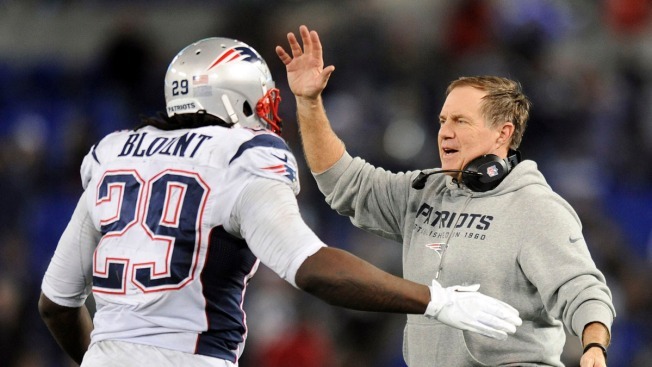 'The support and the fans that we had at the game ... was awesome,' Belichick said. The Patriots spent last week in Southern California as they prepared to meet the Chargers. And while the usually laser-focused Bill Belichick and Tom Brady were just that during the game -- one in which the Patriots would win, 23-14 -- both noticed the large number of New England fans at Qualcomm Stadium. “There were a couple times when I was talking to somebody or talking to one coach or another while the other side of the ball was out there and you hear the fans start yelling and [you’re] like, ‘Uh oh, what happened?’” said Belichick, who seemed surprised by the development. “And it was us making a good play and our fans cheering. The Patriots face the Dolphins on Sunday and can clinch the AFC East title with a win.